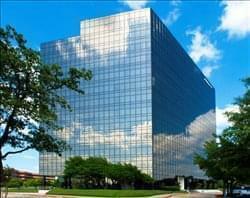 Find My Workspace lists over 95% of the executive office suites market in Plano. Simply click Request Quote to check pricing for one office, or Add to Basket for multiple offices. Small office professional firm with 2,920 sq. ft. of shared space near Downtown Plano. We have a shared suite environment with one window office and three cubicles available immediately. Two additional window offices will be available soon. Great conference room and break-room are included. The cubicles are $350 per month and offices range from $700 – $800 per month. Phone and internet are additional based on your needs. Great location for professionals that want to convey a more permanent impression to customers than a traditional Executive Suite environment. Available cubicles are great for professionals just starting out or established professionals with staff. This center has floor-to-ceiling glass in Plano’s new landmark building. There is everything you need on-site including a fitness center, 45-person conference center, outdoor courtyard, and Fleming’s Prime Steakhouse & Wine Bar. The atmosphere is a warm and inviting workspace where your team can thrive Conference rooms, common spaces, phone rooms, and a wellness room. This is a professional office environment with an upgraded lobby, polished granite floors, and a Class A atmosphere. This building provides quality, affordable office space with access to an on-site bank and on-site restaurant in the heart of prestigious Plano. Tenants will also enjoy access to on-site property management, leasing, elevator service, on-site security & security patrol and ample surface parking. 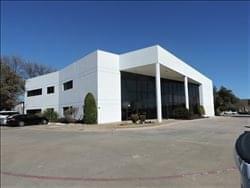 The property is conveniently located in Plano, TX, north of Dallas with easy access to Central Expressway (US Hwy. 75), George Bush Turnpike and many restaurants, retail and hotels in the near vicinity. This center is a shared workspace and community that is a blend of boutique hotel and modern office styles with a high level of design that feels professional and welcoming. It is located in the newly built in a class AA building. Benefits of membership includes a modern design office space that will help you succeed with your business. There is an online and in person member network to make connections, collaborate, share expertise, and get inspired. All to help your business grow and to develop meaningful relationships. The center hosts weekly events focused on social, educational, cultural, and entrepreneurial themes. Centralized café & lounge/reception areas that serve as a hub of activity and foster naturally the collaborative community. The dedicated community managers provide you daily with boutique hotel style hospitality and who are advocates for your business success. High-speed business-class copier/scanner/printers. You can enjoy phone booths for cell phone call privacy. Office cleaning services. Fully furnished workspace solutions with month-to-month agreements. No long-term leases required. The building also features a gorgeous outdoor amenity terrace with fire pits and Wifi connectivity, so you can enjoy outdoors at your leisure. State-of-the-art fitness center complete with saunas, lockers, showers and workout classrooms, tenant lounge / game area, 12 electric car charging stations, and shuttle service to The Shops of Legacy. Enjoy complimentary bike checkout, bike storage room, floor-to-ceiling, unobstructed 360 degree views, shoe shine, dry cleaning, and car wash services. This center is a co-working/executive office suites space with a powerful community of entrepreneurs, programmers, designers, social media gurus and so much more. There is an open collaborative floor plan on it’s first floor and has fully furnished, turn key executive offices on the second and third floors. All offices include 24-hour access, free high-speed internet, access to meeting rooms, access to workshops and events, five free meeting room hours, utilities, and much more. The space not only offers coworking and office solutions, there are also virtual office and meeting room solutions, and much more. To obtain information for your selected Plano Executive Office Suites, please tick the "Add to basket" box for each office you prefer and complete the form below. We will then send a detailed report via email.